GETi are the UKs leading dedicated manufacturer of high quality Titanium and Black Zirconium wedding rings. Mens rings - Established for over 40 years, Birmingham custom wedding rings, Black Zirconium and Titanium ring manufacturers, GETi, are at the forefront of modern, unique, contemporary jewellery design. Delivering a high quality product combined with innovative designs and excellent service makes GETi the UKs leading brand of quality Titanium and Black Zirconium mens rings. Wedding Rings in Palladium, Gold, Silver and Platinum also made. Now you can experience the crispness, quality of impression and versatility that only lasers can achieve with 12.5% discount for guild Gold members. Benefits: Quality of impression - super crisp and accurately positioned marks achieved every time. Choice of font style - literally hundreds of computer fonts are available to choose from either from your own computer, ours or the internet including your customers own handwriting. Logos and graphics can be scanned and imported into the laser. We can work from image files and hand drawn sketches to scribblings on the back of a napkin. The Standard charge for ring text engraving covers from one letter to all the way around the ring if need be with as many lines as we can fit on and is still practical to read. Engraving possible on both rings (inside and outside) and flat components eg watches, pendants. Maximum marking area on flat sheet 110mm x 110mm square. 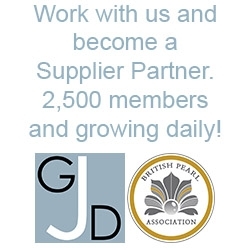 Please enquire with your details for accurate pricing - all Guild of Jewellery Designers Gold members receive 12.5% discount off their engraving orders.